Researchers from the Harry Perkins Institute of Medical Research have uncovered molecular instructions that provide important information required for the formation of embryonic body structures, such as limbs or the nervous system, by comparing these processes in fish, frogs and mice. Professor Ryan Lister and Dr Ozren Bogdanovic from the PerkinsEpigenetics and Genomics Laboratory led the study, which has been published in in the prestigious journal Nature Genetics. Their work is focused on the epigenome, an extra layer of information present in cells that is made up of millions of miniscule chemical tags attached to the DNA, that can switch genes on or off and instruct a cell on how to develop into different tissue, such as skin or heart. Laboratory Head Professor Lister said there was a phase during embryonic development when very different animal groups look remarkably similar. During this phase, these pre-programmed epigenetic signposts switch genes on or off to trigger the correct development of early embryonic structures. The researchers use powerful genome analysis technologies to precisely map the location of these chemical signposts, in order to better understand the epigenetic process of development, which could be used in the future to show how these processes may go awry and cause disease or disability. 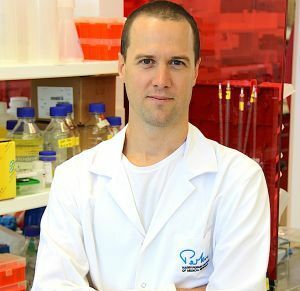 Dr Bogdanovic, the first author of the study, said the researchers were comparing the way that these epigenetic signposts changed throughout embryo development in different species in order to form a blueprint for normal development. “By looking at early stage embryos of different species, we were able to find the existence of multiple epigenetic switches that appear to be critical for limb formation or brain development” Dr Bogdanovic said. These processes cannot be studied directly during human embryo development. Therefore, the researchers’ approach of identifying the epigenetic changes that take place similarly in very distantly related vertebrates provides a means to identify developmental processes that likely operate during early human embryo development. Professor Lister said the research could eventually be used to screen for potential epigenetic aberrancies associated with early development. “Investigating these processes is essential in order to understand the potential repercussions when they don’t take place correctly,” Professor Lister said. Learn more about Professor Lister’s research.